Whether you’re searching for a trustworthy mechanic, a tasty Turkish meal, or a relaxing coffee shop, you likely turn to the internet for help. According to BrightLocal, 85 percent of consumers trust online reviews as much as personal recommendations and 73 percent of consumers say that positive reviews make them trust a local business more. Although there are many popular sites with reviews – Yelp, TripAdvisor, and Amazon come to mind – Google’s reviews hold a special importance because they are typically displayed higher in search results. As a business owner, you have the ability to respond to the reviews left through Google, and doing so can actually improve your business’s reputation and help you maintain and increase your customer base. When you’re ready to begin, review our advice below to learn how to respond to Google reviews. While most business owners understand the impact that positive (or negative) reviews can have on their business, many underestimate the advantages of responding to those reviews. Whether you’re thanking customers for their praise or responding to a complaint, you can do a lot of good by learning how to respond to Google reviews well and then using that knowledge to benefit your business. 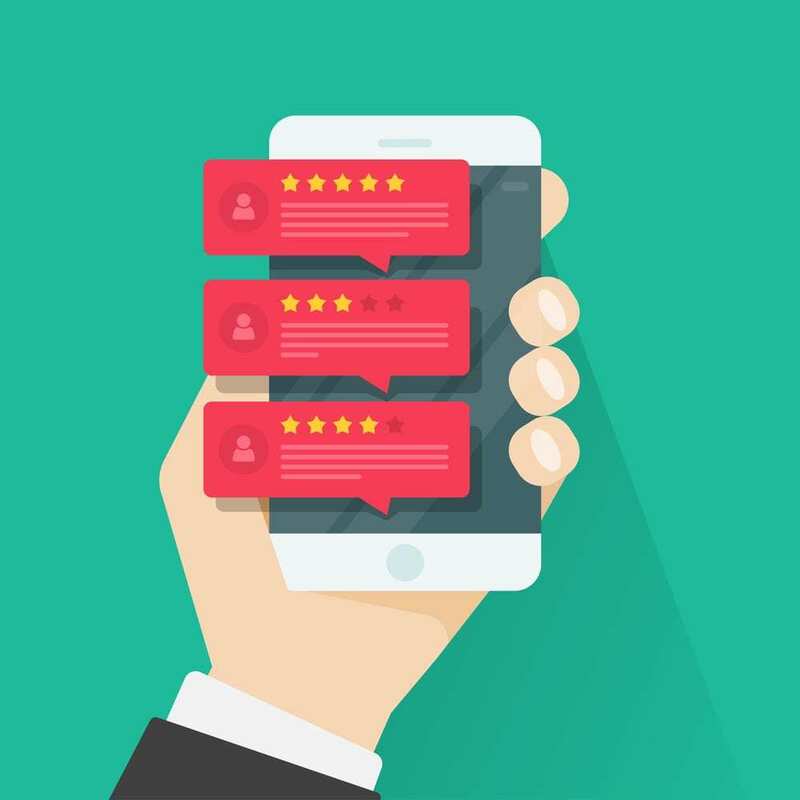 By fostering a line of communication between your business and its customers, you can improve your relationship with current customers and show potential customers that you care: “Responding to reviews shows that you value your customers and the feedback that they leave about your business” (source). Remember that it’s less expensive to maintain an existing customer than it is to gain a new one (source). If a customer left a negative review, you might be able to convince them to return and try again. And if a customer left a positive review, they might appreciate the personal response and decide to come back. Plus, potential customers will read your responses as they decide whether or not to use your services or buy your products. If they see that you’re a polite business owner who is grateful for positive feedback and willing to take negative feedback in stride, they may be more likely to stop by or give you a call. Responding to negative feedback can be intimidating but is often worthwhile. If you can convince the customer to give you a second chance, you might be able to win them back. In some cases, by providing a response that totally delights the consumer, you might even prompt them to remove their negative review or change it to a positive one! According to a study published in the Harvard Business Review, when business owners respond to reviews online (both positive and negative), their ratings increase. In addition, customers planning to leave a negative review may choose not to when they see that you respond to customers’ reviews online to avoid a potentially awkward situation. As the Harvard Business Review explains, this is similar to when people dining at a restaurant tell the manager or waiter that the food was fine when asked, despite disliking it, because they wish to avoid confrontation. Google Reviews are likely one of the many factors that influence your website’s ranking on search engines, especially with Local SEO. A study performed by Search Engine Land found that the number of Google reviews does impact a website’s ranking. And according to Moz, amongst Local Pack and Local Finder ranking factors, “review signals” make up 13 percent. Review signals include review quantity, review velocity, review diversity, and more. Responding to a good review may inspire that customer to return or tell their friends. Responding to a bad review may convince that customer to give you a second chance. Responding to any review may improve your reputation, convincing a new customer to stop by. With all of these scenarios, you can prompt people to leave more reviews, which can benefit your SEO. Responding to a bad review may convince that customer to increase their rating. Responding to any review might inspire new customers to stop by and then leave a positive review. Google tends to rank sites with good reviews higher, so this will benefit your SEO. First let’s discuss how to respond to Google reviews in a practical sense – the steps one must take to reply to a review using Google. Verify your business on Google My Business. If you have multiple locations, select the location you wish to manage. Now that you know how to respond to Google Reviews, let’s go over some best practices. First and foremost, remember that your responses will be public! Don’t jot off replies haphazardly. Take a little time, read over your words, and check the spelling and grammar. If you aren’t feeling confident in your responses, you might wish to have someone else read over them before you click “Submit.” You’re representing your business, so you want to appear professional. Dare I say it? Sometimes the customer isn’t right. But even when you encounter a particularly nasty customer online, it won’t do you any good to stoop to their level. Be polite, courteous, and respectful, even when you’re tempted to type some four-letter words. If you truly can’t respond with kindness, perhaps you shouldn’t respond to that particular review at all. This is not meant to be a full e-mail reply or an advertisement for your business. To avoid overwhelming your customers, keep the message short and sweet. We encourage you to respond to reviews in a timely manner (within a couple of weeks, perhaps) to show that you’re engaged with your customers online and do read your reviews. We know it may be tempting to copy and paste a standard response, but this looks lazy and impersonal to customers. Instead, greet the reviewer by their name and respond to the specific review’s content. Why did they move to a new location? I’m not sure what sorts of bread they offer. We didn’t see any accessories for sale, but they might have some. Do they have any vegan options? I’m not sure. I wonder if they offer fitness classes. These questions and statements provide a great opportunity to offer new, relevant information in your response. Take the bait! While we don’t recommend leaving full-fledged advertisements in your responses, we encourage you to answer queries. Negative reviews are tricky. Instead of jumping in with a fiery defense, take a step back and evaluate the review – with your other team members if necessary. Don’t respond if you’re feeling angry or upset; wait until your emotions have calmed. Ask the customer to contact you directly so you can learn more about the experience and make improvements. Invite the customer to visit again (or the equivalent for your business) so you can get it right. Provide a discount on a future product/service to the customer. Tell the customer the actionable steps you’ve taken to correct the issue. Tell the customer you’ve shared their feedback with the employee responsible (if applicable). This will show that you’re attentive and you care about how this customer perceives your business. Tell all your reviewers that you’re grateful for the feedback by saying thank you. While you don’t need to reply to every reviewer, now that you know how to respond to Google Reviews, we encourage you to be an active presence when it comes to your reviews. Especially if you’re a new business with very few reviews, some communication and interaction with your customers could make a huge difference. Do you need help using Google My Business? Contact 417 Marketing for help. Our team of knowledgeable, creative, and passionate professionals specializes in SEO, web design and maintenance, and Google Ads, and we have successfully completed over 700 websites since our inception in 2010. Click here to contact us and learn more about what we can do for your company.